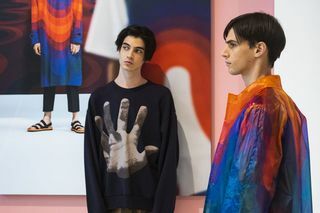 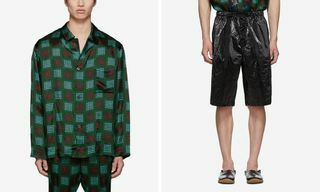 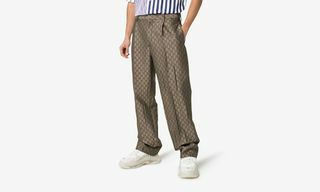 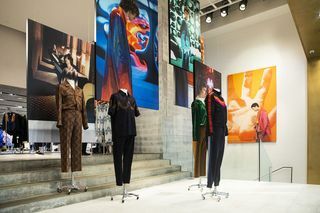 Dries Van Noten‘s new prints have quickly become the hottest thing in fashion, already worn by the likes of Beyoncé, Swae Lee and Steve Lacy, just to name a few. 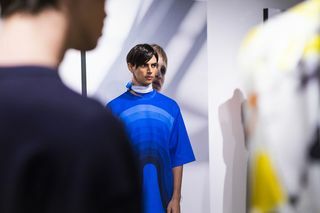 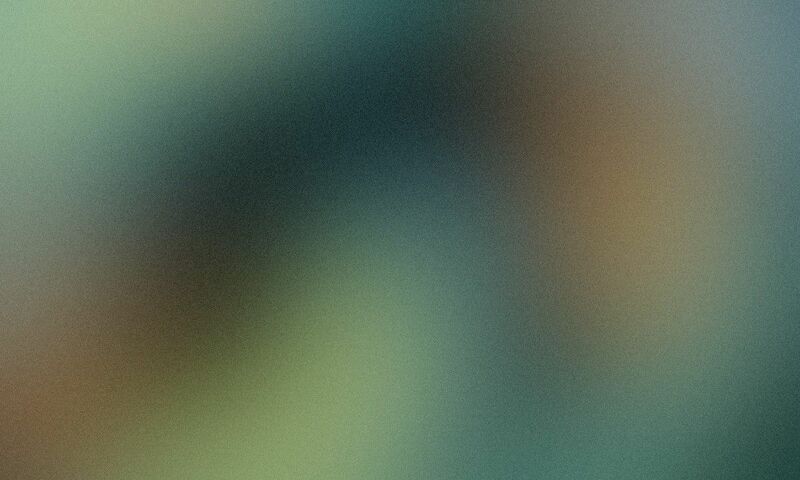 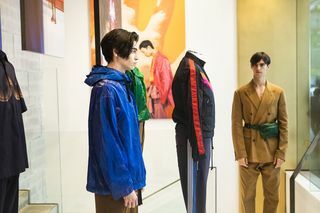 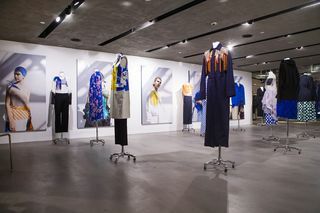 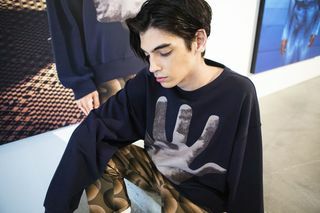 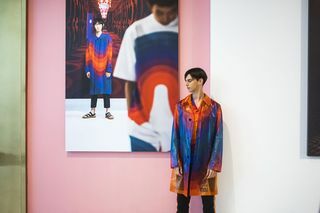 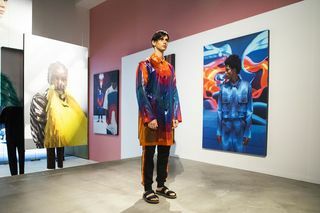 A part of the label’s SS19 collection, today we get a closer look at the vibrant assortment, courtesy of Hong Kong store, JOYCE. 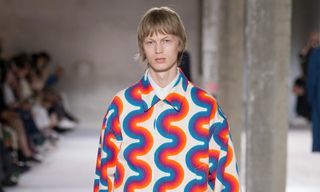 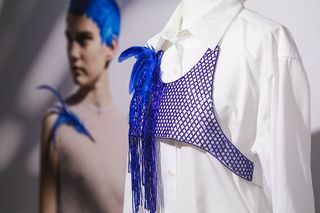 Dries Van Noten was granted rare permission to collaborate with the estate of Danish architect and designer, Verner Panton, for SS19. 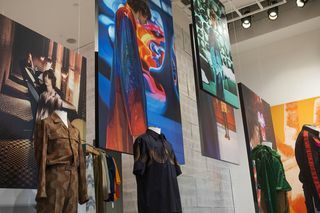 This partnership allowed the brand to adapt the scale and colorways of Panton’s designs. 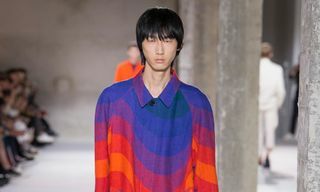 Such a vibrant aesthetic has translated beautifully onto Dries Van Noten menswear, as the label emphasizes pared-down yet elegant, masculine silhouettes. 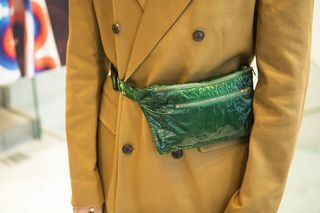 We find pops of emerald, inkwell, orange, acid rainbow, yellow, mocha and khaki coming together throughout the new seasonal collection, with knits and wovens having undergone an intricate dip-dyed process. 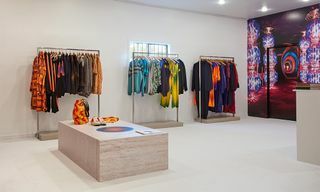 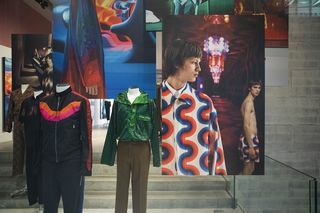 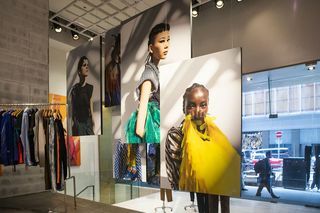 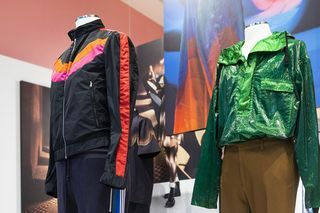 From there, Panton’s eye-catching prints and colorways are showcased on velvet cotton styles, parkas in sheer nylon, tracksuits, cropped trousers, swim shorts, long work coats and more. 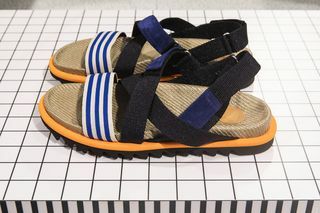 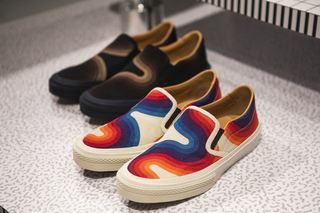 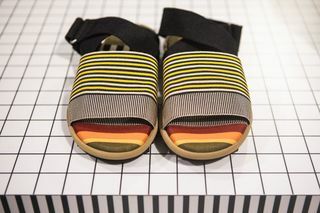 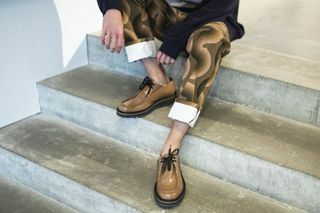 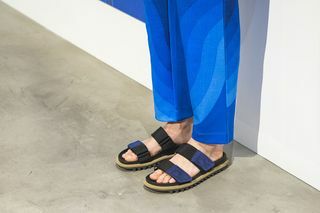 To complement the apparel, Dries Van Noten presents accessories ranging from pony skin bags to high-laced boots, sandals and high-shine shoes.